The weights for the 2013 Grand National have been announced and owner Graham Wylie appears to hold a winning hand after top weight Tidal Bay was apparently “dropped” 9lb. Champion trainer Paul Nicholls won the race for the first time last year with Neptune Collonges and is now considering withdrawing Tidal Bay from his Cheltenham engagements to go straight to Aintree. Tidal Bay has been given top weight of 11st 10lb but has been rated at 162, 9lbs lighter than his official racing mark after his win in the valuable Lexus Chase at Leopardstown. This effectively means that the top weight is 9lbs better in than in any other race, offering every encouragement to Nicholls to run the twelve year old. Owner Graham Wylie also has two other leading candidates in Prince de Beauchene and On His Own. The latter was a leading fancy last year but fell at Becher’s Brook on the second circuit when seemingly going easily just behind the leaders. He is due to make his seasonal reappearance shortly whilst Prince de Beauchene has already shown his well-being with victory in a hurdle race. One person who was not impressed by the weights was Ted Walsh, trainer of last year’s third Seabass and the progressive Colbert Station. Both of his horses remain firmly on course for the National but he is baffled as to why they are 9lb closer to Tidal Bay than they ought to have been. Last year’s runner-up Sunnyhillboy is set to race off a 10lb higher mark than last year whilst the fourth horse, Cappa Bleu, has been dropped 2lb. Other horses that catch the eye include Welsh National runner-up Teaforthree (10-13) and David Bridgwater’s Wyck Hill (10-4). Teaforthree was just denied by Monbeg Dude in the Chepstow marathon and had previously run well in the Hennessy Gold Cup at Newbury. Wyck Hill could be the best handicapped horse in the race having beaten Katenko at Ascot and now set to meet that rival on 13lb better terms. Katenko has since won at Sandown and Cheltenham and has been raised another 9lb for his 12-length win in the Murphy Group Chase. Connections of both horses have been harbouring ambitious plans to run in the Cheltenham Gold Cup. If Wyck Hill is in that class he won’t get another chance to run in the National off such a light weight. 2011 Grand National winner Ballabriggs has been allotted 11st, the same weight as he carried to victory two years ago, whilst 2010 Gold Cup winner Imperial Commander has 11st 6lb to carry. Nigel Twiston-Davies was delighted with the horse’s comeback run when finishing second at Cheltenham recently and his main objective is at Cheltenham. Nicholls also has Join Together (10st 12lb) entered after his promising second in the Becher Chase in December. Bookmakers, such as Bet365, reacted by cutting Prince de Beauchene to 12-1 favourite ahead of his stable companion On His Own and Seabass at 14-1. Tidal Bay is 16-1 to give Paul Nicholls a second consecutive National with Teaforthree at 20-1. Katenko and Wyck Hill are still available at 33-1 with some firms. The horses weights are an important factor when deciding which horse to back with your Grand National bets. 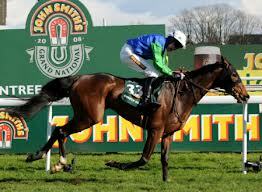 Check out the official Grand National website for more information on the weights.